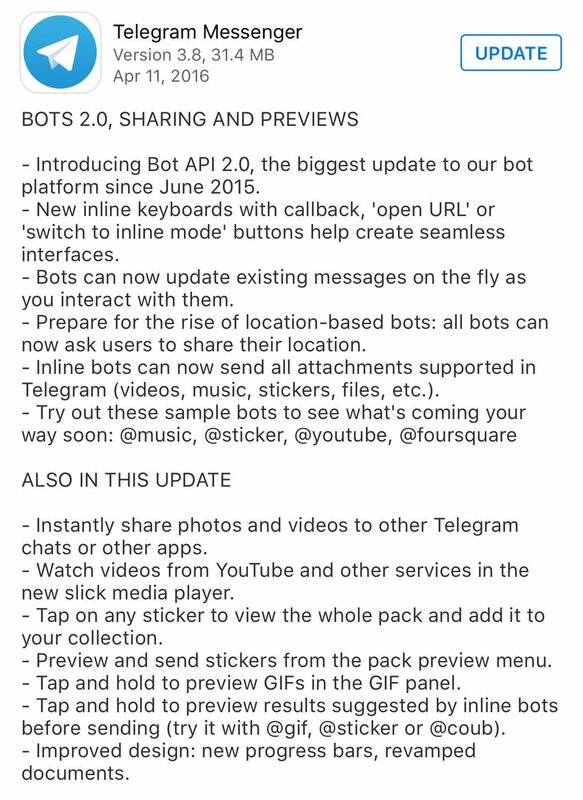 Would you recommend Telegram Bot Platform 2.0 to a friend? @gabriel__lewis @chrismessina Open but completely secure, I can get used to this. This bot influx is getting ridiculous. Love it! @gif @ddulic92 same here. I've all devices set up with Telegram and is my productivity hub. Love Telegram. The cross-device message read state syncing is flawless.